Does the taxman help you save for retirement? When are tax-free savings accounts appropriate? Cape Town - The National Treasury will shortly publish final amendments to tax free savings accounts regulations for the year beginning 1 March 2017, it said in a statement on Tuesday. "The amendments spell out a process for transfers, clarify the policy position on performance fees in underlying funds, give guidance on the adequate and consistent disclosure of returns to fixed deposit tax free savings accounts, include various provisions to enable the regulator to adequately oversee product offerings, align the rules of access for fixed deposits and include Postbank as a product provider." Treasury said the ability of investors to transfer will be postponed to 1 March 2018 to allow product providers sufficient time to prepare for more onerous responsibilities in assisting investors to comply with the annual and lifetime limits. The annual and lifetime limits apply to the combined contributions to an investor’s tax free savings accounts across all product providers. "Investors are required to manage their own limits across their different tax free savings accounts. However, individual product providers may not accept contributions that exceed the annual and lifetime contribution limits for any investor in respect of accounts held with that particular provider." Treasury said when transfers are introduced, product providers will be required to monitor the level of contributions already made by the investor to a previous product provider and restrict the investor from making further contributions if they were to exceed the annual or lifetime limits. Transfers of tax free savings accounts can only be implemented between product providers as per investor instructions. 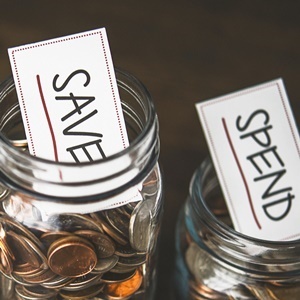 "Individuals will not be able to transfer by withdrawing amounts from their tax free savings accounts and contributing that amount to a different product provider – this would be classified as a new contribution," explained Treasury. The Regulations spell out the minimum requirements for a valid transfer between product providers, such as a transfer certificate, the number of days within which a transfer must be effected and the type of information that must be passed on to the new product provider. National Treasury has agreed with product providers that industry, represented by their respective industry bodies, will cooperate over the period before transfers become effective to discuss and finalise the implementation details. "Given this approach, the additional administrative requirements imposed on product providers and the required amount of systems-testing time, transfers will be postponed by a year to 1 March 2018." Fixed deposit products will now be required to disclose a rate of return that is measured in the same manner. "This will encourage simplicity and comparability between products." Performance fees are not permitted in tax free savings accounts whether charged as part of the tax free savings account or in an underlying fund into which tax free savings account contributions are invested. "Product providers must ensure that tax free savings accounts do not, in any way, contain fees that are performance based," said Treasury. The rules of access to tax free savings accounts for fixed deposits will be aligned with existing fixed deposits to entice product providers to offer tax free savings account investments with a higher return. Treasury said product providers will be required to notify the Financial Services Board (FSB) within a calendar month before a new tax free savings account product is advertised in the market, providing the FSB an opportunity to review the features of the offering and suggest changes to the rules if necessary. "If no response is received, product providers may proceed to advertise the investment as planned. The Regulations require that any change undertaken subsequently to the launching of the product should also be submitted to the FSB in the same manner."